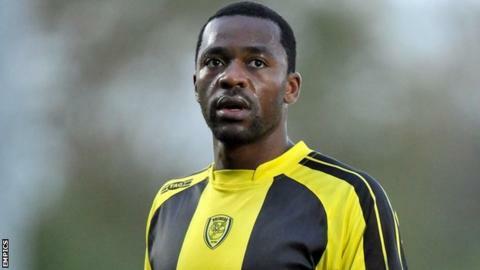 Burton moved up to third in League Two after seeing off Exeter with their seventh successive home win. Michael Symes gave the Brewers an early lead with a sidefooted finish from inside the box. Marcus Holness headed in Jacques Maghoma's cross to make it 2-0 before Maghoma volleyed in his fifth goal in eight games from close range. Lee Bell's 20-yard strike made it 4-0 before Guillem Bauza's shot and Scott Bennett's header reduced the deficit. Exeter, who remain in the play-off places, had not lost on their travels since October. "They deserved to win today, they played better than us and they executed their performance better. "I don't think we were that bad that we deserved to concede four goals but I didn't think we did enough to win the game either. "The scoreline will always dictate how you feel after the game and the major factor today was that we conceded goals today that we haven't done recently. "The overall feeling from the game today is that we let it get away from us very quickly and it was too much to claw back."